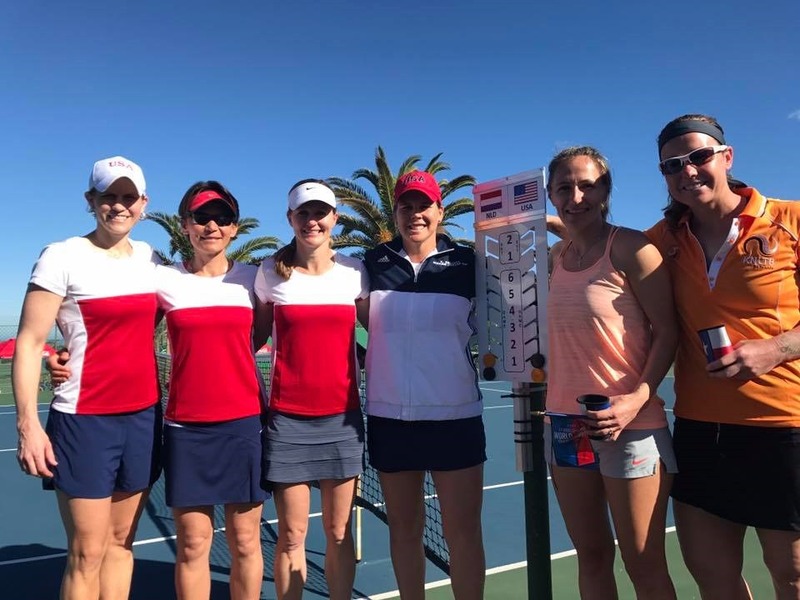 What were the odds that all three USA women’s teams would play a Dutch team first round in South Africa? 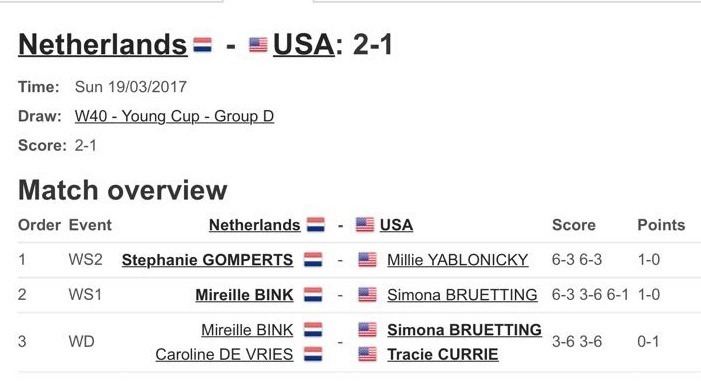 Not too high I would think, but that’s what happened, and the Dutch won two of the three contests, with only the Court Cup surviving against the Netherlands. The Lenglen Cup (35s) fell 2/1 to the Netherlands, with the match coming down to the doubles. Kaysie Smashey won at #2 singles 63 62 against Kim Kilsdonk, but Julie Thu fell to tDutch #1 Olga Kalyuzhnaya 64 76. 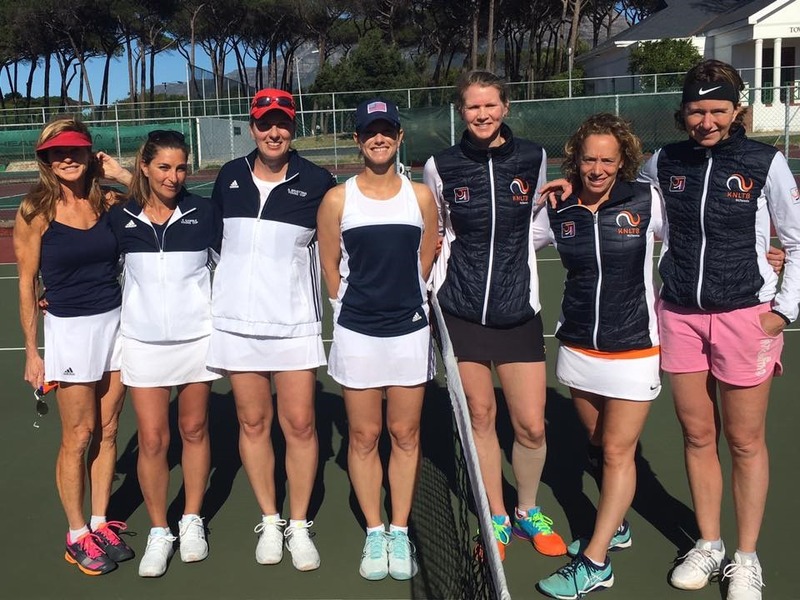 Thu/Smashey USA reigning 35 Clay and 30 Hard champions, took on Kalyuzhnaya and Andrea Van Den Hurk and fought hard but lost 64 46 61. Thanks Kaysie for the photo. In the Young Cup, rookie Milli Yablonicky fell to Stephanie Gomperts 63 63. 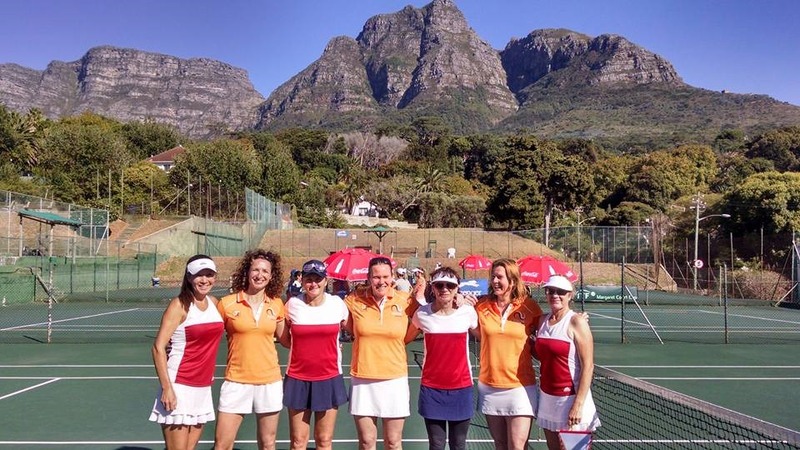 Captain and Cup veteran Simona Bruetting took on Mireille Bink but lost 63 36 61. Bruetting and Tracie Currie salvaged the doubles point with a 63 63 win over Bink/Caroline De Vries. Thanks Simona for the photo. 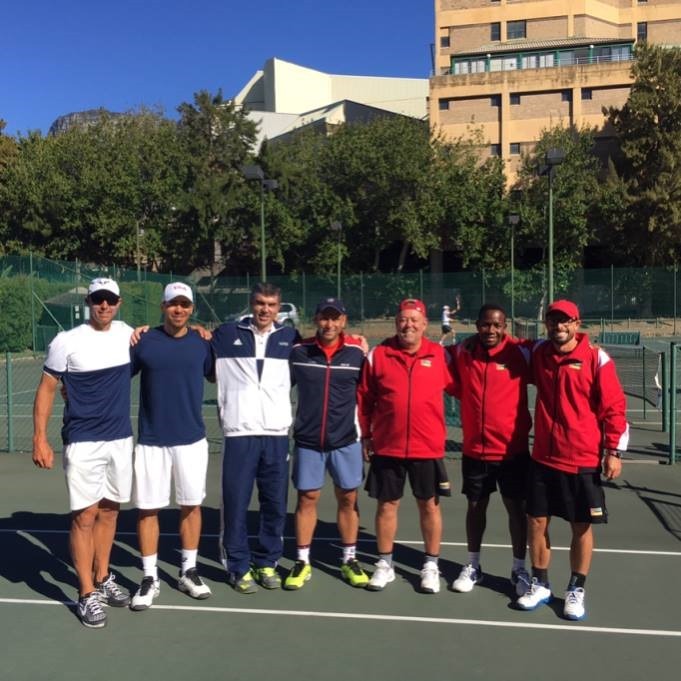 The men’s Italia Cup team (35) got a 3/0 win over Mozambique. (Thanks Francois Castejon for the photo.) 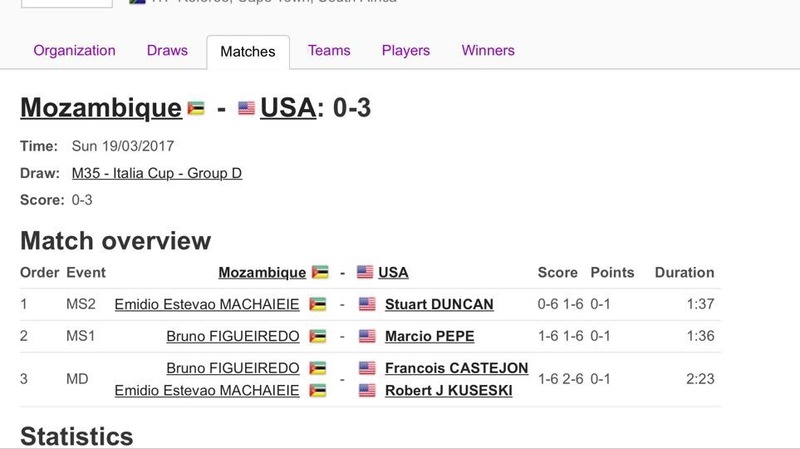 Ross Duncan at #2 and Marico Pepe at #1 won easily; Francois Castejon and Robert Kuseski, making their Cup debuts lost a mere three games. 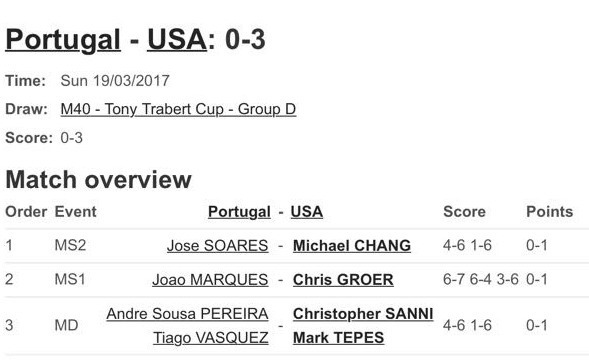 The Trabert Cup Team won 3/0 vs Portugal. Michael Chang (not THAT Michael Chang…but still a very good player) won at #2; Chris Groer clinched the win in three sets at #1 and Chris Sanni/Mark Tepes won the doubles point. 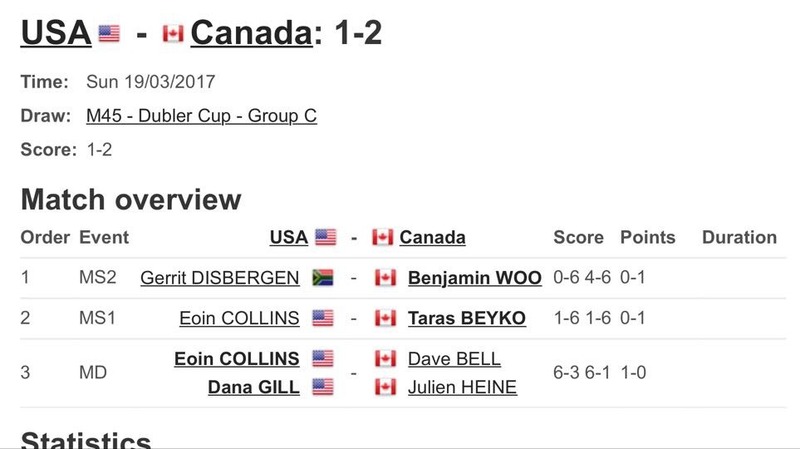 The Dubler Cup team fell 2/1 to a tough Canadian team. Gerritt Disbergen, a So African native, fell to Benjamin Woo and Taras Beyko, who has won the world championships more than once, played flawlessly to take out Eoin collins. Collins and Dana Gill won the doubles point though over Dave Bell/Julien Heine.